Sailing boat at sunset vector artwork. 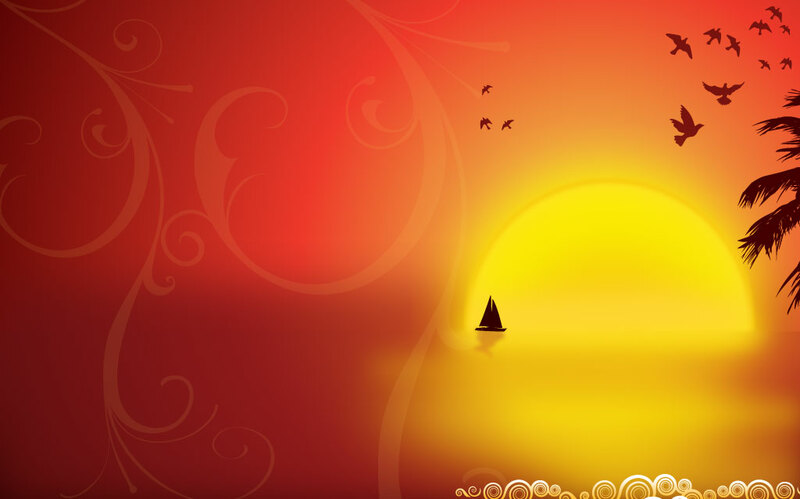 Stylish vector illustration of a sailboat just in front of the horizon during sunset. Birds and palm tree silhouette graphics give the scene a tropical feel. Filigree and spiral elements add decoration and texture to this beautiful nature, sea or ocean image. Free download for your travel and vacation themes. Tags: Cruise, Discovery, Luxury, Paradise, Rich, Sail, Tourism, Travel, Traveling.